This newsletter was originally published on June 13, 2018. 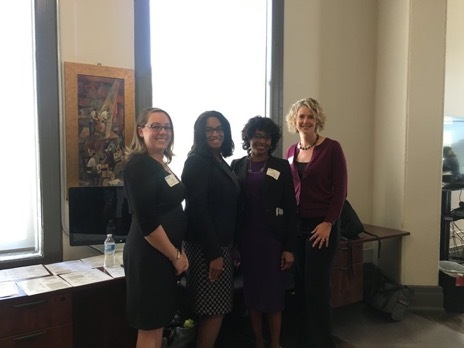 On Tuesday, June 12, Michigan EIBC, Advancing Women in Energy (AWE) and American Association of Blacks in Energy (AABE) co-hosted a networking reception focused on energy efficiency and lighting at the CLEAResult headquarters in Detroit. The event kicked off with brief comments from Michigan EIBC president and AWE board member Liesl Clark, Michigan EIBC board member and AABE board member Carla Walker-Miller of Walker-Miller Energy Services, Michigan EIBC member and AWE board member Brandy Brown of CLEAResult, and Reka Holley, energy ombudsman of the Michigan Agency for Energy and Michigan Public Service Commission. 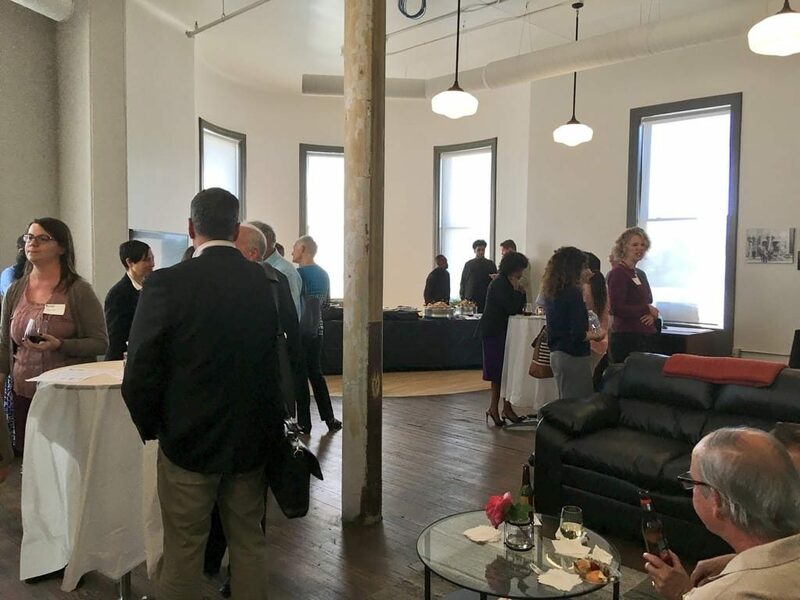 With over 60 leaders in the advanced energy industry in attendance, the event gave Michigan EIBC members, AABE members, AWE members, nonmembers, and utility and regulatory representatives the opportunity to meet and mingle. 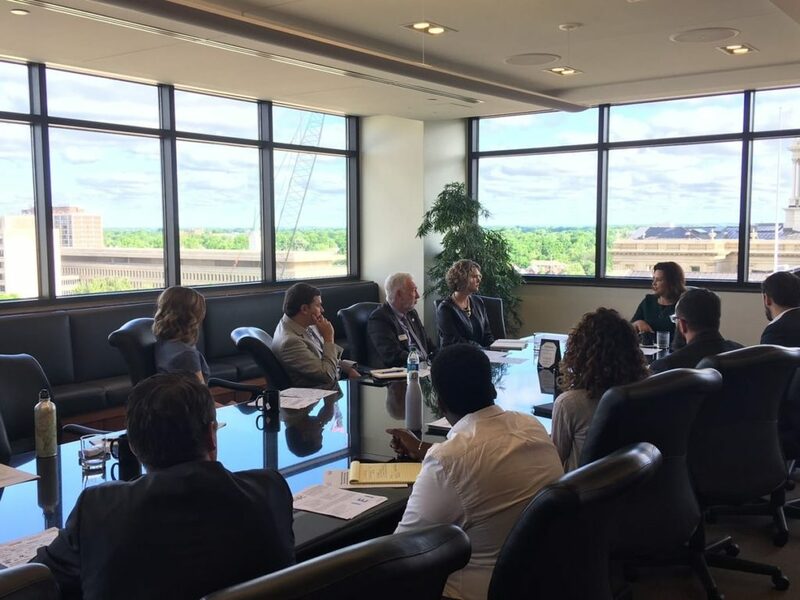 On June 4, the Michigan Energy Innovation Business Council (Michigan EIBC) and Institute for Energy Innovation (IEI) held the first in a series of gubernatorial candidate roundtables in Michigan. 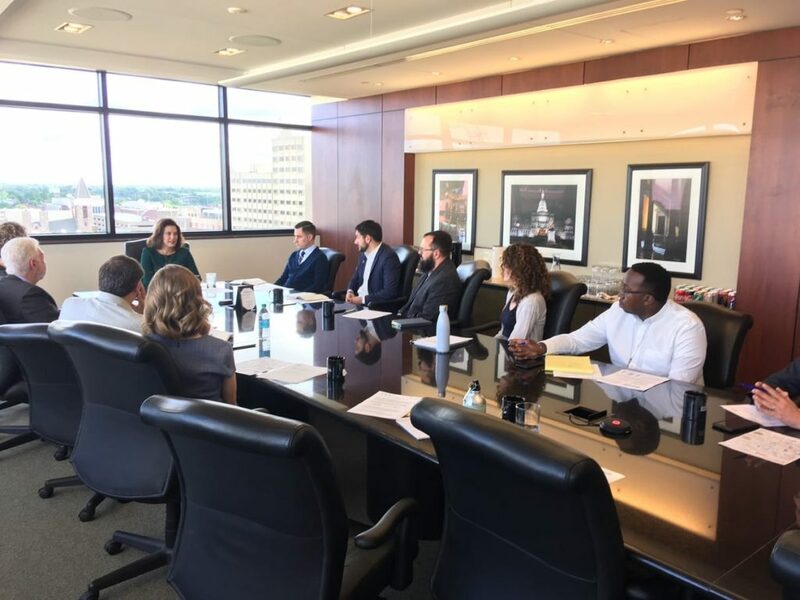 The business leaders from Michigan EIBC and AEE sat down with former senator Gretchen Whitmer to discuss energy policy. Whitmer, of Lansing, is the former Ingham County prosecuting attorney and minority leader of the Michigan Senate. Michigan EIBC has reached out to all of the major party candidates to request similar off-the-record briefings, and we look forward to additional meetings in the coming weeks. The conversation focused on the strength of the advanced energy industry in Michigan, which represents 92,200 workers and includes Michigan EIBC’s 115 member companies. 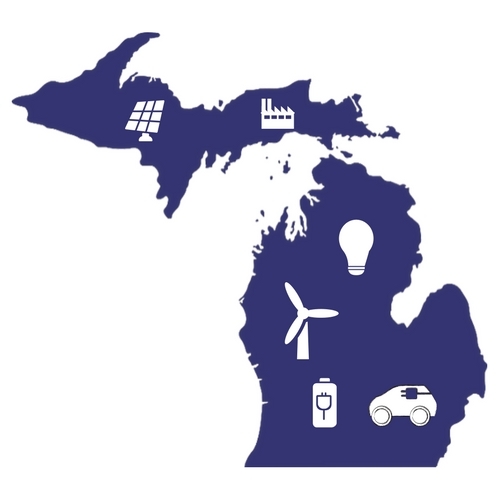 Michigan EIBC believes that Michigan’s next governor can harness the economic power of the advanced energy industry, support Michigan’s economy, solidify the state’s leadership in mobility, and put quality jobs at the heart of a vision for a forward-looking energy future. In the meeting with Whitmer, the business leaders expressed their commitment to economic development in Michigan and stressed that investment in advanced energy can contribute to job growth, lower electric bills for Michigan ratepayers, and infrastructure investment in communities hosting renewable energy sites. The Institute for Energy Innovation (IEI) is pleased to announce that Cory Connolly, former Chief Operating Officer of Michigan EIBC member company Levin Energy Partners, is joining the IEI as the Vice President of Development and Community Projects. IEI is Michigan EIBC’s partner organization that specializes in advanced energy research. In his new position with IEI, Connolly is committed to helping continue to grow Michigan’s advanced energy economy. As the COO of Levin Energy Partners, Connolly helped develop and deploy the company’s Property Assessed Clean Energy (PACE) finance marketplace, Lean & Green Michigan. Connolly has been at the forefront of the growth and development of Michigan’s Property Assessed Clean Energy (PACE) market, helping expand the market to 34 local governments across Michigan and close more than $12M in transactions utilizing advanced energy. 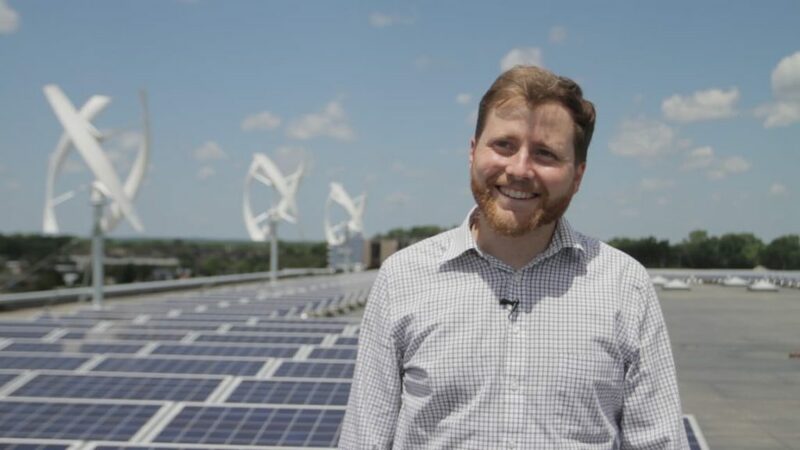 Connolly has also held positions with the Environmental Law Institute in Washington, DC and Michigan EIBC member company 5 Lakes Energy and is the creator of the Michigan Clean Energy Leaders Project. Michigan EIBC and IEI are excited to welcome Connolly to the team. ChargePoint brings electric vehicle (EV) charging to more people and places than ever before with the world’s largest and most open EV charging network. We design, build and support all of the technology that powers this network, from charging station hardware to energy management software to a mobile app. Our work transforms transportation and energy use by helping more people choose to drive electric. State lawmakers are considering SB 1031, a bill that would provide tax exemptions for utility personal property, including electric transmission and distribution systems, substation equipment, and gas transmission lines.The bill is supported by DTE Energy and Consumers Energy. Bay City Commissioners are considering new ratesfor utilities. The Federal Energy Regulatory Commission (FERC) rejected a request by the state of Michigan to place a hold on surchargesrelated to a UP coal plant. A utility watchdog group is claiming that a political nonprofit, which has received over $43 million in four years from Consumers Energy, has not reported at least $15 millionin revenue to the IRS. The head of the Michigan Chamber of Commerce says DTE Energy’s plan for a new 1,100 MW natural gas plantwill benefit the economy. On May 17, Jamie Scrippsof Michigan EIBC member company 5 Lakes Energypresented on standby rate design at a workshop hosted by the Energy Resources Centerand the Midwest Cogeneration Associationin Chicago. On a radio segment, Detroit Business leaders, including Gerry Anderson, CEO of DTE Energy, discussed whether the region can be competitive and attract talent. Adocumentaryshows how renewable energy is impacting communities. Consumers Energy awarded Future Energy Group and McLaren Health Care the “Project of the Year” award for energy efficiency upgrades, including installing 25,000 outdoor and indoor LED fixtures and over 12,000 intelligent lighting fixtures, which enabled McLaren to reduce their energy costs by nearly 70%, or $1.6 million in annual savings. S. Senators from Nevada and New Mexico introduced a bill to repeal President Trump’s recent tariff on imported solar panels. The Department of Energy announced a $3 million prize to help boost domestic solar manufacturing. A bipartisan group of senators from the Midwest want to use the 2018 Farm Bill to expand the use of renewable fuels. Energy Secretary Rick Perry defends plans to save coal and nuclear plants, saying pending retirements threaten grid stability. The Energy Department does not have a cost estimate for the proposed bailout of uneconomic coal and nuclear plants, a move requested by FirstEnergy, a failing Ohio utility. However, Moody’s credit rating agency says the bailout would hurt ratepayers and help FirstEnergy. The EPA hopes to change the cost-benefit analysis it performs for its regulations. An “operating system” for the grid could double its efficiency. Utility Divereports that the number of policy actions addressing grid modernization jumped 75% from early 2017 to early 2018. Republicans in the Southeast are becoming increasingly interested in solar. Wind farm upgrades are helping a Colorado utility decrease costs for customers after meeting a 100% renewable energy target in 2015. An Illinois community college’s board of trustees approved a proposal to build one of the state’s largest solar arrays on campus. Boston Mayor Marty Walsh unveiled a multi-city initiative to lower the cost of renewable energy by asking developers to meet collective energy demands. A Minnesota Energy Cooperative, Great River Energy, plans to reach its 50% renewable energy target by 2030. Pennsylvania Governor Tom Wolf will sign a bill to make Pennsylvania the first Northeast state in six years to approve commercial PACE financing. John Deere announced sustainability goals that include getting 50% of its electricity from renewable sources. Michigan EIBC’s third EV Convening on DC fast charging and long-dwell charging is scheduled for June 14 at the Michigan Agency for Energy’s office in Lansing. The meeting will featurespeakers including Jeff Mason, CEO of the Michigan Economic Development Corporation; Wayne Killen, Senior Director of Infrastructure Operations and Bustiness Development for Electrify America; and Robert Jackson, Director of the Michigan Agency for Energy. Register here. Michigan EIBC member company, Michigan Energy Options, invites you to participate in the June 15 Webinar, “Minimize Financial Risks and Maximize Clean Energy Benefits for Public Sector Institutions?” Click here for more details on the program. On July 17-19, PlugVolt will be hosting its next Battery Seminar in Plymouth, Michigan (USA), featuring an entire day of in-depth training by EnerDelon Lithium Ion technology, alongside complementary industry updates by automotive and grid storage OEMs, global battery manufacturers and Tier 1 suppliers. Attendees also get a tour of Intertek’s Battery Testing Center. Register here. Michigan EIBC’s fourth EV Convening on fleets is scheduled for July 18 at the Michigan Agency for Energy’s office in Lansing. Watch your inboxes for registration details. A program has been released for IPU’s 60th Annual Regulatory Studies Program, including Fundamentals (August 6-10) and Intermediate (August 13-17) Programs. You’re invited to present, advertise, exhibit, or sponsor at The Energy Fair, June 15-17 in Custer, Wisconsin. Learn more and register here. You’re invited to the EV Roadmap 11, June 19-20 in Portland, Oregon. Register here. EUCI invites you to the Renewable Energy Credit (REC) Market Dynamics & Trading conference, June 19-20, in Boston, Massachusetts. Register here. June 22ndin Traverse City Groundworks will host the MI Clean Energy Expo and Conference. EUCI invites you to the Fundamentals of Distributed Resource (DER) System Planning conference on June 25 – 26in Chicago, Illinois. Register here. The 2018 Renewable Energy Conference: A Leadership Forum on Energy Policy, June 26in Poughkeepsie, New York, will feature IBM’s Dr. John Kelly. Don’t miss the premier renewable energy conference on the East Coast! Register today! 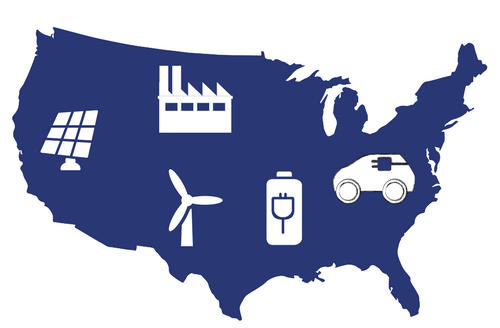 You’re invited to the Grid Evolution Summit hosted by Smart Electric Power Alliance (SEPA), in Washington, D.C., July 9-12. Register here. EUCI invites you to the Compensation for Distributed Energy Resources in a Low-Cost Marginal World conference, July 30-31in Austin, Texas. Register here. EUCI invites you to the Smart Cities 2018 Conference on August 13-14in Columbus, Ohio. Register here. EUCI invites you to the Retooling PURPA conference on August 20-21in Atlanta, Georgia. Register here. EUCI invites you to Renewable Energy 101, September 10-11, in Chicago, Illinois. Register here. EUCI invites you to the “Land Lease Agreements for Renewable Energy 101” conference on September 13-14, in Austin, Texas. Register here. The Solar Energy Industries Association (SEIA) and Smart Electric Power Alliance (SEPA) invite you to Solar Power International, September 24-27, in Anaheim, California. Registration opens in spring of 2018 here. EUCI invites you to a FERC Transmission Ratemaking Conference, October 1 – 2, in Denver, Colorado. Register here. A podcast covers the energy and climate races to watch in the 2018 midterm election. The Federal Highway Administration (FHWA) announced $60 Million in Advanced Transportation Technologies grants, including Smart Mobility and Smart Cities technologies, and projects that bring data together from different systems, such as integrated corridor management and real-time traveler information. The deadline for applications is June 18. Learn about eligibility criteria here.